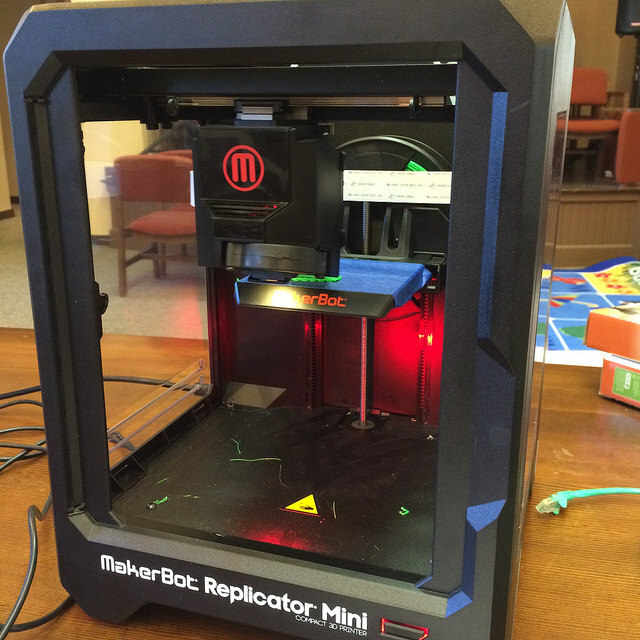 The library owns a MakerBot Replicator Mini 3D printer for the public to use. The printer’s extruder head heats to over 400° Fahrenheit so users will need to be take a short training session – 20 minutes – before use. 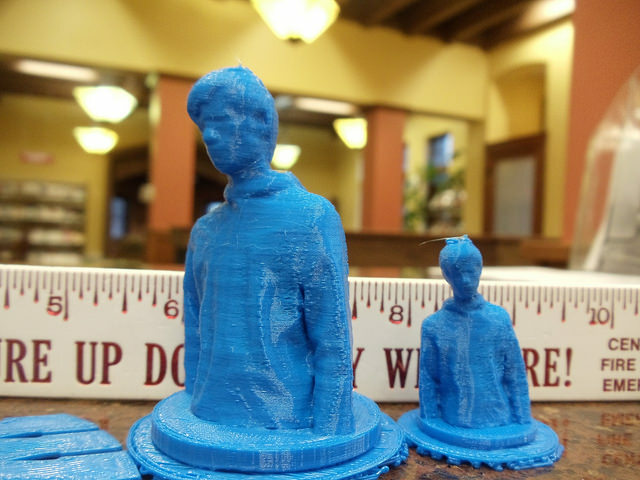 3D printers are additive printers. The printer has a heated extruder (print head) that melts the plastic into a thin stream – 200 microns thin – and layers the plastic from the base up. 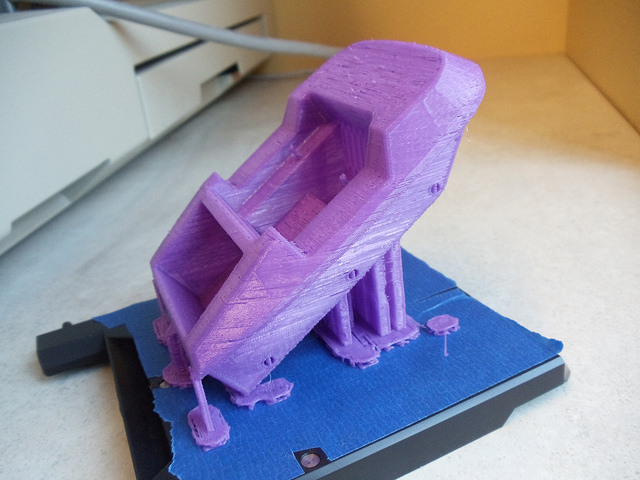 Our 3D printer can print from any .STL or .OBJ file. Print size is limited to 3.9″ long X 3.9″ wide X 4.9″ high. 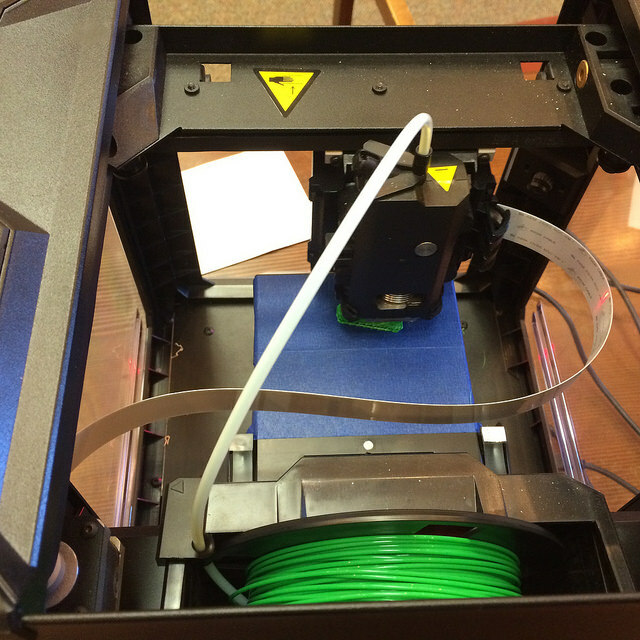 The library has a variety of filament colors on available but you will need to verify current inventory. Print cost is $0.10 per gram. Most small objects weight less than an 28 grams (one ounce). You can design your own 3D objects using several free software programs. Google SketchUp is downloadable. Online design options include TinkerCad. Sample of two sizes. Designs can be scaled.